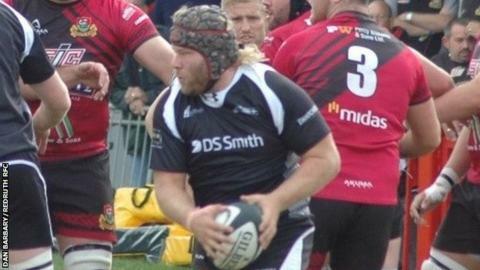 Launceston prop Tim Mathias says narrow margins are keeping his side from challenging at the top of National Two South after the 23-16 win over Clifton. "If we'd won six of those games by one point we'd be top of the league," Mathias told BBC Radio Cornwall. "So hopefully now it's time to put a bit of a run together going into Christmas." The win was Launceston's fourth of the season and their second in three games after a run of five successive defeats. "It's nice to get a home win, we played a very determined Clifton side and our defence was outstanding from minute one to minute 80," said director of rugby Neil Bayliss. "We maybe got turned over a bit too easily if I'm honest, but I'm delighted with the performance and just really pleased for the squad. "It was a whole 20-man squad performance for me and I'm immensely proud of them."